Hi Everyone – thanks for checking out our PCT-hike blog site. Neither Donna nor myself have ever blogged before but we thought this would be a good way to communicate with family and friends about our trail experience. We also wanted to share our trail adventure with whomever else is interested. Both Donna and I have enjoyed following the PCTA blog site over the past few seasons and have appreciated the opportunity to learn more about the trail and other fellow hikers experiences on the trail. Donna and I have been married for almost 30 years and have three children and three grandchildren. We are very active and enjoy hiking, backpacking and travel, especially active or adventure travel. I started backpacking at age 15 with my father in the Sierra Nevada so now have over forty-five years experience in the backcountry. Wow! Donna has always been fit and active also and has been a hiker and backpacker for over twenty years. 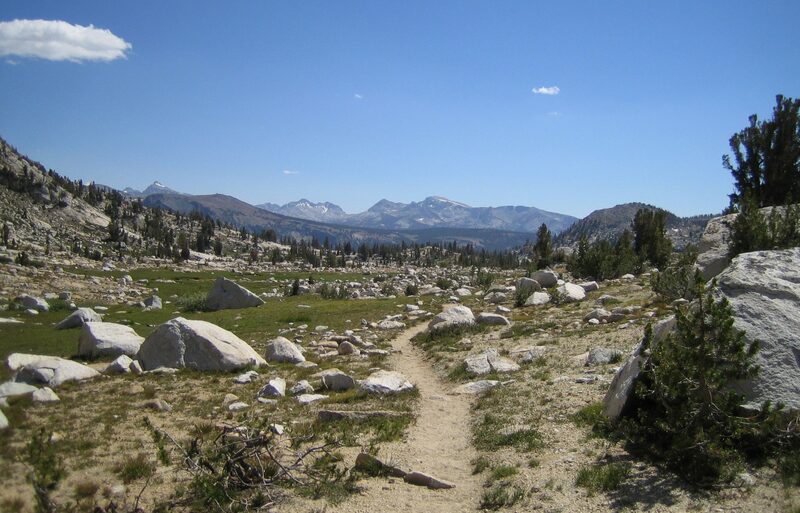 In 2005, I solo hiked the John Muir Trail (JMT) and then in 2013, Donna and I hiked the JMT together. I’ve climbed Mt. Whitney (7x), Mt. Ranier, Volcanoes of Mexico (Iztacchihuatl & Pico de Orizaba), Kilimanjaro(2x) and made an attempt on Aconcagua. Together, Donna and I have trekked to Everest Base Camp and climbed Mt. Kilimanjaro. We have wanted to attempt a pure thru hike of the PCT for quite a few years and now are at a point in our lives where we can dedicate the time and energy necessary to give it our best shot. We hope that our bodies and minds are up to the challenge. Thanks for following our adventure and we would encourage all of you to follow your own dreams!